What does it mean to be true to our hearts? Is it the same things as being aware of how we feel, and integrating that knowledge into our actions and our speech? 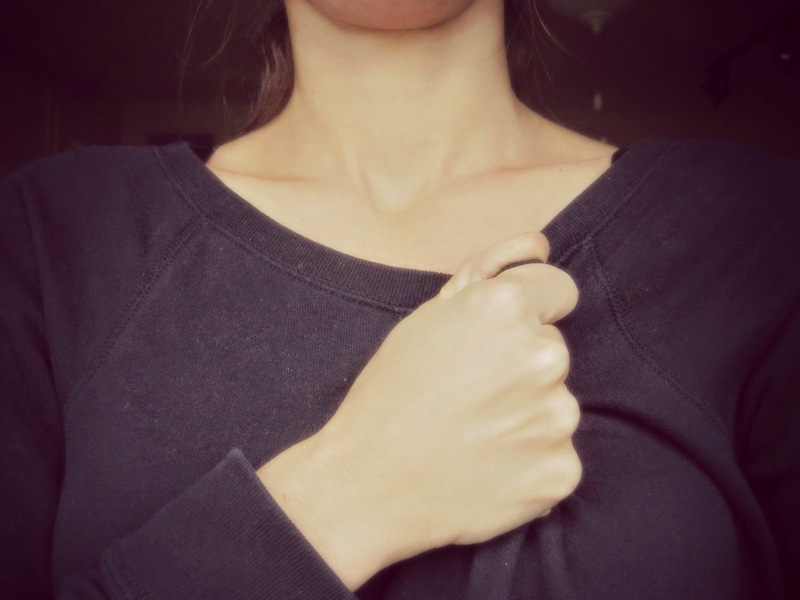 And what does it mean to honor our emotions? To feel our feels and call it good, courageous? Is there a place of esteem for our emotions to sit, where mind and heart and body can dwell peacefully together? Where we can be whole, feelings and all? This month, I have been stirred by such questions, urged by my own continued encounters of separating my heart from my days. Wanting to live in a place of wholeness and oneness, where thoughts and feelings and limbs are all respected and openly presented as me. 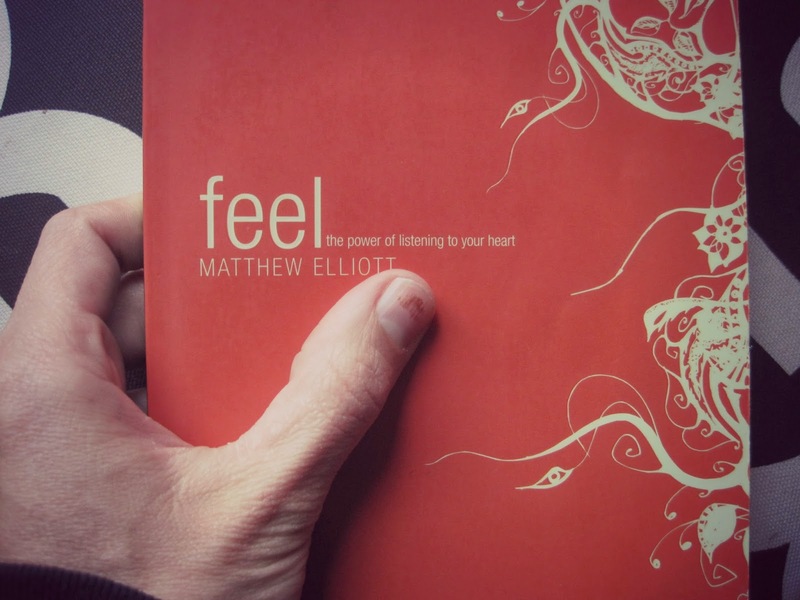 And so, I have been re-reading Matthew Elliot's book, Feel: The Power of Listening to Your Heart. I was originally given this book by the first counselor Daniel and I saw after returning from Thailand several years ago. I was one big mountain of messy emotions at the time, layer upon layer of grief and shame and confusion and loneliness and fear, fused together by confused beliefs and an addiction to please. After months of floundering around and suffocating in that mountain of mess, we were sent by our church to a weekend counseling session. Unfortunately, the session itself proved more traumatic than helpful. But, as soon as I read the introduction of Elliot's book, I knew I had found something true - and something I deeply needed to embrace. That Fall, I began reading through Feel with a friend, and was struck page after page by the novelty of someone suggesting that we honor our emotions, that we not only integrate, but actually esteem how we feel. For years, decades - maybe even my whole life? - I had lived by the law that emotions are dangerous and weak. That expressing our feelings is unacceptable, inappropriate, immature. I grew up knowing that what I felt was largely to be kept a close secret, my own personal possession. That - whether joy or sorrow, excitement or fear - all should be tamed, tended, kept tidy and quiet. As a young Christian, I learned, too, that our feelings tend to lead us astray, and should never act as a guide, if even a factor at all, in choosing the course of our days. I drank deeply of the motto that, "Where your mind leads, your heart will follow," the message clearly being that reason should reign supreme. But, "Listen to my heart? Honor how I feel?" These notions seemed absurd, if not blasphemous. In all my years as a devout, conservative Christian, I had heard many teachings about how to check my emotions and choose God's truth over how I felt. 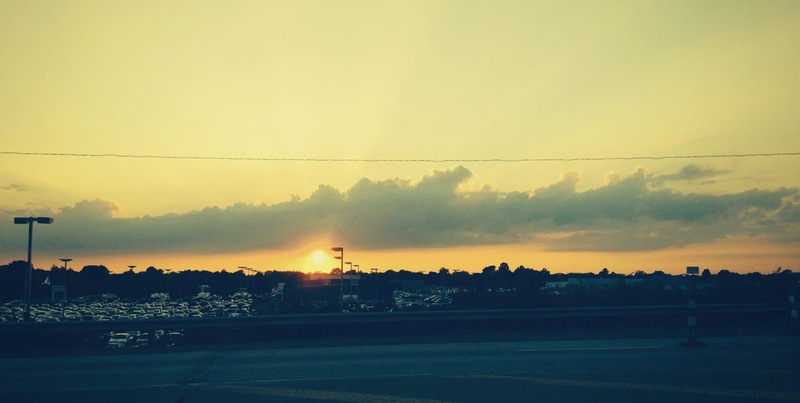 I learned to believe that my feelings were often, if not always, at odds with God's Word. That true love is not a feeling, but an action and a decision. But, never, never, did I learn that my emotions could be noble. That my heart had something to say, something maybe even worth listening to. I think Elliot summarizes it well when he writes in his book, "For years we've been taught by our culture and in our churches that emotions are not to be trusted; that reason and knowledge and logic are the firm foundations on which to build our faith and our spiritual lives; that it's our attitudes and actions that matter, not how we feel about things." He goes on to say, "Many peoples' spiritual lives are actually killing them. They are living by duty, by rote, by fulfilling their responsibilities to church and family. Their goal is to get all their ducks in a row, to believe all the right things and know why they believe it, and to act according to God's commands. But eventually they find that it doesn't matter how well they can do "all the right things." They still find themselves dry, cold, and empty." That has definitely been my experience. But as is too often the case, even after reading Elliot's book four Falls ago, even after awakening to a new possibility for honoring my emotions, I didn't have the capacity to digest the extent of what he was saying. My belief framework was so stiff and so opposite from much of his suggestions that, although I received the book as a breath of fresh air, I could not breath it in completely. It felt like tiny spurts of inhalation, shallow and rapid winds trying to make their way into my being, but only going so far. Three Falls later, I found myself in another counselor's office (the only other counselor I've ever seen), finally trying to process that mountain of messy emotions I'd abandoned or buried or ignored years before. Soon, I heard my counselor asking me to do things like, "Listen to your heart. If your soul feels up to it, go ahead. Honor where you are." I was truly baffled by her words, confused what it could possibly even mean to know, in any given moment in time, how my soul felt. Do people live like that?, I marveled. I had only ever been encouraged to hide or disregard my emotions at best, or be wary of them at worst. To disconnect my mind from my heart. And so now, this command: Listen and honor and step-in-time with your heart. Could such a thing be done?! I confessed this to my counselor. I told her, with wide-eyes and gaping mouth, that I couldn't even fathom making a decision from the place she'd just described. It went against everything I knew, every way I'd been taught to think and act. And, wasn't she a Christian anyways? Didn't the Bible teach us not to get caught up in our emotions or follow their whims, but, instead, to stick to the clear path of Biblical truth? I spoke this second-half in more of a devil's advocate sort of way, pushing and probing and finding, yet again, that not all Christians were the same. That not all who called Jesus, Lord, had been raised as I, or believed as I once did, or felt constricted as I once had. And I should not have been surprised by this realization either, for this was the Fall when voices honoring mystery, honoring truth in every form, honoring middle places and dark nights and grey in every shade came flooding into my life, awakening my soul finally. Telling me life was still to be had, even without that notebook of neat answers in hand. I wrestled then and I wrestle now with what it means to be true to my heart. I struggle, still, to engage with my mind and my heart at the same time. To integrate emotion into the natural expressions of my every day. Just today, the kids eagerly packed their bags and got themselves buckled in the car, for the long-awaited day of their first swim lessons had finally arrived. We'd counted down days and then hours and now, finally, it was time! At the pool, I helped my son strip off his jacket and tennis shoes and watched him fidget on the bench until finally his age group was called into the water. He hopped up and hopped in and then, with tears welling in his eyes, found out that mama had drove us to the pool on the wrong day. He'd missed his lesson two days earlier. I, too, wanted to cry. And maybe I should have and maybe I shouldn't have. But the only reason why I didn't initially, was because those old voices told me it wasn't acceptable. That I needed to be stronger, sturdier, headier than such whims. That maybe it looked immature or that maybe it showed the wrong values. And that ultimately, these were just my emotions, so what did they know anyways? But, looking at my son's earnest disappointment, I let the tears well and I didn't choke them back. I let his tender tears fall on my shoulder, while we hugged and cried and honored the sadness of a hope deferred. I let my emotions speak - I let them lead - and there was much beauty and life in doing so. I learned my emotions do have something to say, and that, perhaps, they point to the greatest truths of all.